In the early ’80s, when researchers in Britain began studying office workers in Whitehall, the foreign service office, they found some surprising results: The death rates for the lowest-level staff were three times higher from all causes–and four times higher from heart disease–than those of the senior administrators. Differences in smoking, exercise, diet and other behavior that affects health explained less than a third of the disparity. The workers were all “middle class” and could take advantage of the same health care. But as their rank rose, their risk of dying decreased. So what was the most likely cause of their radically different prospects for life and health? Inequality. We’re accustomed to the notion that poverty and material deprivation can hurt people. But poverty is just one dimension of the larger problem of inequality. And the idea that inequality itself is harmful–even to people living in affluent societies–is rarely discussed. Economic growth helps, but it alone is not the answer. Many Americans say they would find inequality tolerable if there were equality of opportunity and social mobility, but there is surprisingly little class mobility in the United States. As the title of one paper in Unequal Chances: Family Background and Economic Success indicates: “The Apple Falls Even Closer to the Tree than We Thought.” More than 40 percent of children born into the poorest fifth of families remain in the poorest fifth as adults; less than 10 percent make it to the top fifth. But 30 percent of children born in the top 10 percent remain there. There are many reasons for this–including race, wealth and personality–but the editors of Unequal Chances conclude that “genetic transmission of IQ appears to be surprisingly unimportant” and education and superior cognitive performance explain at most half of the persistence of rank between generations. But even if there were perfect mobility and educational opportunity, there would still be growing inequality–and that is harmful in itself. Several of these new books–Greed and Good: Understanding and Overcoming the Inequality That Limits Our Lives, Inequality Matters, Economic Apartheid in America: A Primer on Economic Inequality & Insecurity (an excellent popular introduction to the issue of equality) and The Impact of Inequality: How to Make Sick Societies Healthier–show how harmful inequality is to society as a whole and to individuals. In Greed and Good, a highly engaging, encyclopedic survey of arguments for and against equality, Sam Pizzigati, a veteran labor journalist, makes a compelling case that increasing inequality contributes to rising unhappiness, corruption of professions like law and medicine, environmental destruction, less innovative businesses, slower economic growth, a fraying social fabric and much more. Take happiness, for starters. Surveys suggest that once people rise above a struggle to stay alive, rich nations are not necessarily happier than poorer ones, but within countries, affluent people are happier. That’s partly because the rich–and the media–set the standard for what’s necessary for life, a culturally relative category that expands with growing needs. This creates a “hedonic treadmill” or, in the words of economist Robert H. Frank, a “spending cascade” that puts pressure on consumers to buy and can even drive up prices. As people try to “keep up with the Joneses” on less income, they are also tempted to shortchange the public sector, which is most important for those with less money. This becomes especially harmful as the rich increasingly retreat to private schools, gated communities and a life totally disconnected from average people. For many decades, researchers have looked at the relationship between inequality or poverty and health, and expected to find that material hardships, bad behaviors or poor medical care account for the worse health of those with less money. But Richard Wilkinson, a professor at the University of Nottingham medical school, shows in his latest book, The Impact of Inequality, that social inequality itself causes worse health. Human beings are fundamentally social animals, and during most of their evolutionary history lived in small groups that valued–and zealously protected–egalitarianism. Humans have the capacity for both cooperative, egalitarian solutions and hierarchical, competitive strategies, and most complex societies rely on both. When there’s an imbalance, Wilkinson argues, it’s not just the society that gets sick; the individuals within it become literally ill. The evidence that greater inequality in rich countries leads to higher death rates and shorter lives–by as much as 15 years for those with low incomes and status–comes from a large number of comparative studies. Wilkinson argues that inequality creates chronic stress. That’s partly because as societies grow less equal, there’s less trust, greater conflict, more crime, less “social capital” and more racism. Also, in highly unequal societies, more individuals suffer from stresses associated with low status, weak social ties (such as limited links with others as kin or friends), and emotional difficulties early in life. While stresses normally lead to hormonal responses that help individuals survive, the chronic stress of unequal societies is much different in its cumulative effect. These social stresses leads to bodily changes that reduce immunity, raise the risk of heart disease and other illnesses, and lead to dangerous behaviors, such as heavy drinking, that increase the chance of disease and death. While the impact on health may be surprising, inequality more obviously exerts a pernicious influence on democracy. Early observers of America, including Alexander de Tocqueville, linked the democratic republicanism to “the equality of conditions” of Americans. Now, democracy is threatened by inequality of conditions–both through the undue influence of the monied and through the withdrawal (and exclusion) of low-income voters who see politics as irrelevant to their lives. 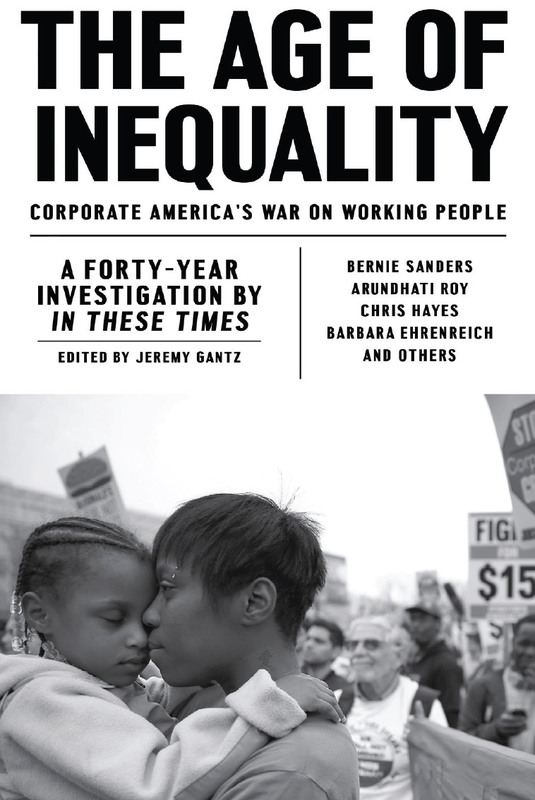 Sociologist Christopher Jencks and journalist Robert Kuttner argue in Inequality Matters that the United States has uniquely high and growing levels of inequality not for the usual reasons offered–such as increased use of computers or a skills gap–but because of the erosion of political forces that promote equality, such as labor unions, government income supports or working class parties. Why has there been such a growth of low-wage jobs? “It’s politics, stupid,” says Jencks. How did this political sea-change come about? David Harvey, author of The Condition of Post-Modernity, offers an elegant explanation in A Brief History of Neoliberalism. Harvey argues that ruling elites in the United States promoted neoliberalism–or free market fundamentalism–for both this country and the world as “a project to achieve the restoration of class power,” which was threatened economically and politically in the late ’60s and early ’70s. As a central part of that strategy, corporations and the rich, supported by allies in think tanks and conservative organizations, used globalization not only to produce new markets and cheap labor, but as a political battering ram to attack policies that restricted capital or protected workers. Harvey argues that neoliberalism serves to legitimize what the powerful want to do, which includes dismantling all the institutions and political forces that had increased economic equality. It does so by cloaking policies in the garb of “freedom.” But the freedom is mainly for private property, and then, to a lesser degree, for individuals as consumers. Individuals aren’t free to choose solidarity or equality. The neoliberal strategy, however, contains internal contradictions. For example, although growing inequality favors the wealthy in the short run, it is also associated with slower economic growth. And Harvey argues that neoliberalism faces difficulties resolving how to enforce a dictatorship of the market while advocating individual freedom, how to create citizen loyalty in a state that offers only protection of property and national security, and how to preach competition at a time of growing economic concentration. Americans seem at best ambivalent about restraining great wealth. But Pizzigati shreds the rationales for inequality–as an incentive, as a justifiable reward, as the price paid for charitable benevolence–and argues that a just society must not only “level up” the poor but also “level down” the rich, capping their incomes at ten times the minimum wage. (The average CEO last year made 431 times the average worker’s earnings). That would create a real incentive for the elite to raise the wages of most workers in order for them to increase their own incomes, and it could have a wide range of benefits–from slowing the hedonic treadmill to improving health and giving free reign to motivations other than greed. It’s a utopian proposal–but so was the estate tax when it was first proposed two centuries ago (and which, if the Republicans have their way, may soon become utopian again). Inequality Matters includes some more modest proposals–such as major political reform, national health insurance, stronger labor laws and new global trade deals–but even these seem pretty utopian in Bush World. It was only in the late 18th century that people–other than the utopian Levellers–started thinking that poverty might be abolished. In An End to Poverty? A Historical Debate, historian Gareth Stedman Jones writes about how the global revolutionary-pamphleteer Thomas Paine and the French philosophe Marquis de Condorcet were inspired by the American and French revolutions to propose social insurance systems, a radically novel proposition. They were attacked by reactionaries in terms that are all-too-familiar two centuries later. 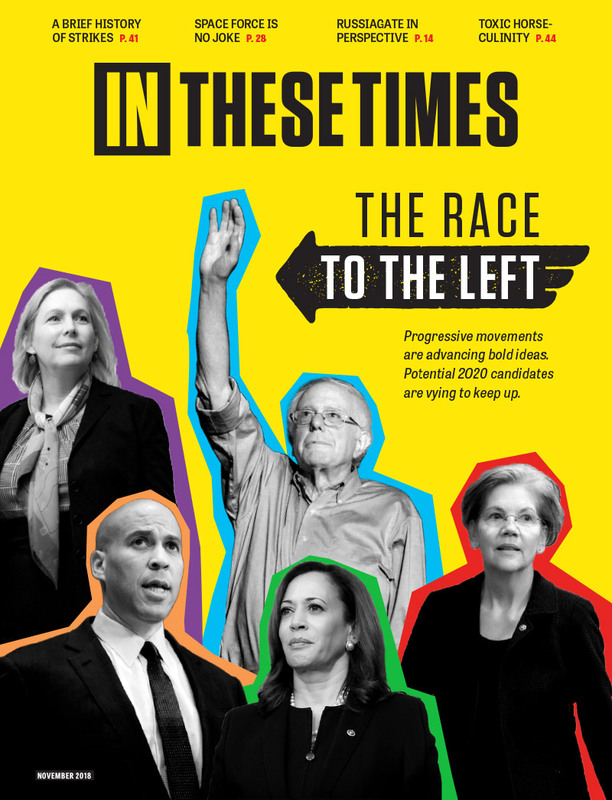 Progressives need both to fight the diverse immediate battles against neoliberalism and to develop a long-term goal of redistributing income, wealth and power from the contemporary ruling class to the working and middle class majority. To do so requires unity. But too often working and middle class constituencies, while sharing a common interest in creating an alternative to inequality and neoliberalism, are divided by differences in experience and culture. In Class Matters: Cross-Class Alliance Building for Middle-Class Activists, United for a Fair Economy organizer Betsy Leondar-Wright explores the impact of those differences, for example, in degrees of security, and offers a how-to guide on bridging the class divide. Few projects are more important than developing that common commitment to realize one of the central political principles of a just society–equality, the foundation of both liberty and fraternity. Hey NaderRaider, More money into the public schools will not produce smarter students. The reason poor kids in public schools are not as advanced as rich kids in public schools is not due to money .. it's due to the parents. The poor kids in our country are "screwed" and it will never get better, only worse. It's too late, nothing we can do about it. Here is the problem: about 20 years ago there were too many single un-educated females that got pregnat and dropped out of high school. How can that un-educated mom help her kids with homework? CAN'T Then those kids dropped out and got pregnant ... and now we have this cycle of single un-educated moms and their kids become single un-educated moms. This has already happened .. it's too late. We are on the 3rd cycle now. Go drive thru any low-income area in america during the summer and then go drive thru a middle class area and then drive thru a wealthy neighborhood. This is what you will see .... the poorer the area, the more kids you will see. The very people that can't afford children, have the most children. (and we wonder why poverty is increasing). lol .. hello .. McFly ... I'm 41, my sister is 52, brother is 55 and oldest brother is 57. My sister's husband makes about $300,000/yr (2 kids). Brother that is 53 makes about $200,000/yr (2 kids). Brother that is 55 has his own insurance agency and his wife is a principal (1 kid) .. and I have 2 kids. And that is about average for those incomes .. just drive thru the areas .. you won't see kids everywhere. But, drive thru the projects ... and you will nothing but kids. As long as poor un-educated females keep having 2, 3, 4 or 5 kids .. we will never break the cycle. Yes livingliberty is correct but misses the point. So what if 60% of the bottom fiifth move up they probably only move up to the next fifth part. Almost half, 40 %, stay in the bottom 1/5. No less than 10% jump to the top is NOT a significant amount. If 70% of the top fall out of the top group they fall probably 1 group down so this too is not a significant "churn factor" at all. We need less categories or a better presentation of the lack of social mobility in these stats. The bottom line is inequality is evil and not inevitable. More government is not neccessarly the answer but a change in the relations and means of production on how they are socially organized is neccessary for a just and decent society in which to live. Having met many CEOs and business leaders, I am still amazed that anyone can possibly believe that the average CEO deserves 431 times the average workers pay. Although I have known for some time that our country is not a meritocracy, it would be nice to think that greed would not become the institutionalized standard of conduct. Today's corporate management structure revolves around a group of well connected individuals, who sit on each other's boards, voting massive compensation packages for their comrades, while moving their operations to other countries without regard to the effect on their own country. Their only allegiance is to themselves. This systematic looting of corporations by their managers has, of course, been extended to the Federal Government. In both cases, the principle focus is "what's in it for me". Those who are in a position to take advantage of the system will do so without reservation, as they feel a sense of entitlement with respect to their undeserved fortunes. One thing is certain, they will not stop on their own. Stockholders and voters need to become aware that these people do not bring any value to the table. Hopefully, we will come to our senses before they have destroyed the system by bleeding it dry. Avarice is not beautiful. Greed is not a virtue.